MyOwnArizona™ Real Estate is a group of one of the most respected real estate services and investment companies in Southern Arizona. We are here to provide our clients with the smoothest transitions as possible. 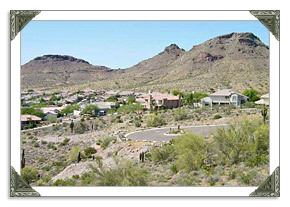 On this website you will find many Arizona resources to research and enjoy the State of Arizona. With many specialty services available, MyOwnArizona™ offers Arizona real estate buyers, Arizona real estate property owners, Arizona business office building occupants and Arizona investors comprehensive integrated Arizona real estate solutions, including Arizona real estate transaction, Arizona property management, Arizona real estate consulting and Arizona investment advisory services supported by our exclusive Arizona market research tools and extensive local Arizona market expertise. Most Arizona real estate agents can only be in one place at a time. We can be in 10. When you're ready to make an offer on your Arizona dream home or an Arizona real estate buyer is ready to buy your Arizona home for sale, the last thing you want is an Arizona real estate agent who is attending another inspection and can't get back with you right away. In Tucson real estate, time is of the essence. 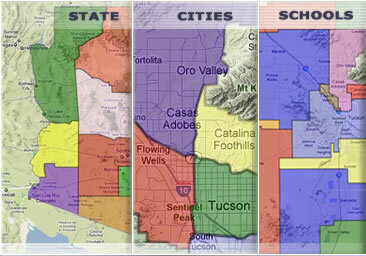 That's why we have an MyOwnArizona™ real estate team of specialists that allows us be in 10 places at once. You'll never be put off, put on hold, transferred to six different people, or be stuck waiting hours for a return call. 1. To sell our clients' Arizona homes for sale for More Money in Less Time! 2. 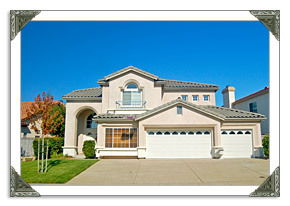 To help our Arizona property buyers find the Best Home for the Right Price! When it comes down to it, flashy self-promotion, fancy cars, and "hey look at me" marketing isn't going to help you negotiate the best Arizona real estate transaction that keeps the most money in your pocket. What will, is years of Arizona real estate experience, many successful Arizona real estate negotiations, many satisfied Arizona real estate clients, and a commitment to continuing education in the Arizona real estate market. That's what the MyOwnArizona™ real estate team of specialists bring to the table and that's who you want standing behind you when you're buying Arizona real estate or selling an Arizona home home for sale in Southern Arizona. An Arizona real estate deal can take preparation. From preparing the Arizona home for sale or finding Arizona homes for sale that matches an Arizona real estate buyer's needs, Arizona real estate agents spend hours doing Arizona real estate paperwork, attending Arizona real estate inspections, Arizona real estate closings, Arizona real estate negotiating between an Arizona real estate buyer's agents and Arizona real estate sellers agents and handling every last Arizona real estate detail that comes up along the way. Even with the best intentions, it's nearly impossible for just one lone Arizona real estate agent to do everything and get it done right in Arizona's fast paced Arizona real estate market. As local Arizona area experts, with knowledge of all the Arizona communities, our MyOwnArizona™ real estate team of specialists' objective is to work diligently to assist you in meeting your Arizona real estate goals. Our MyOwnArizona™ real estate sales team is a leader within the community. We are full time Arizona real estate realtor professionals enjoying the ever evolving Arizona real estate market. This is what we do each day exclusively: that means full time Arizona real estate and full service Arizona real estate with over 30 years of experience in Arizona real estate. Thank you for visiting www.MyOwnArizona.com. Please consider it your Arizona real estate online source for local Arizona real estate information, and return often for the latest Arizona properties for sale listing updates. Site is updated twice daily. If you are considering buying Arizona real estate or selling an Arizona home for sale or would just like to have additional information about Arizona real estate in your area, please don't hesitate to contact us.